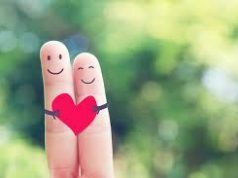 This post has already been read 237 times! 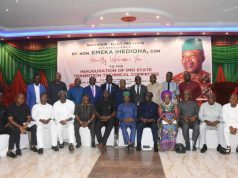 Dr. TOE Ekechi is the leader of the Restoration Coalition of APC Imo State and convener of the popular Imerienwe Declaration that has pushed Governor Okorocha to the wall and shown that no matter how highly he assumes himself, “men dey!”. Former Commissioner for Information and Strategy to Governor Okorocha, Dr. Ekechi is one of the finest public relations experts we have around. Recently he made a revelation that has kept mouths wagging. It was not as if Imo people had not heard what he said before, but his confession was interesting for many reasons: Imo people did not know the level of involvement of some sons and daughters of Imo State in the ouster of Dr. Ikedi Ohakim from office in 2011. Imo people did not know the people behind the conspiracy, and it was nice hearing from the horse’s mouth. Again, what Dr. Ekechi revealed proved once and for all that His Excellency Dr. Ikedi Ohakim did not lose the 2011 governorship election in the state, but that rather he was pushed out by combined forces from Abuja and Owerri, not the masses. For close to eight years, what we have seen is that some members of the elite class, ashamed of the outcome of their 2011 conspiracy try to shake off the shame by claiming falsely that it was the “masses” that “removed” Ohakim. 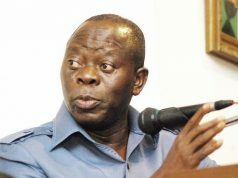 But the confession by Dr. Ekechi, a chieftain of the All Progressives Congress (APC), has shed more light on the shenanigan that transpired that overwhelmed the whole of the state and forced the entire state on bended knees. 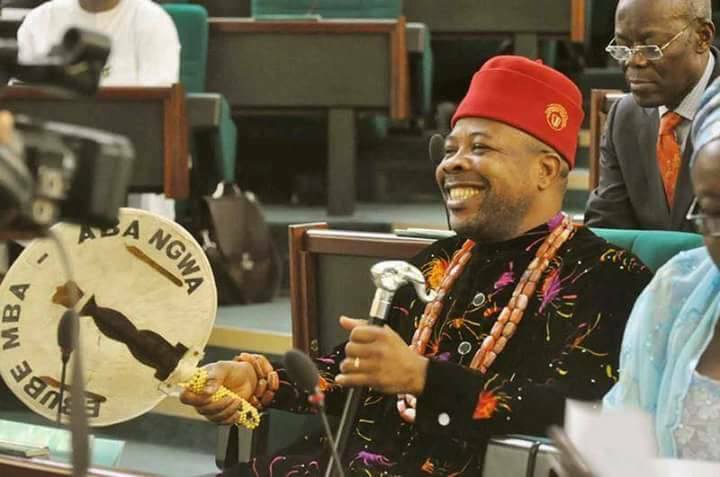 And for those who might be asking what Ekechi said that has kept mouths wagging, eight years after Dr. Ikedi Ohakim left office as the Governor of Imo State, Dr. Ekechi opened up on the reason Ohakim lost his re-election bid in 2011. He said, like we have always maintained, that Ohakim was pushed out of office not because he did not perform or because the masses did not want him, rather it was by a deliberate act by the former President, Dr. Ebele Goodluck Jonathan, working in cohorts with some people in the state, to stop him. 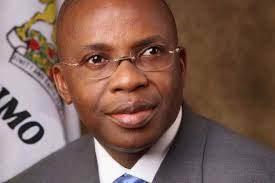 Speaking on the conspiracy that removed Dr. Ikedi Ohakim from office as Governor in 2011, despite his stellar performance, during an interview with a national daily, Dr. Ekechi said: “It is on record that I was a close ally to Rochas Okorocha. As former Chief of Staff to the Minister of Interior, Capt. Ihenacho, we worked with Okorocha at the instance of the former President Goodluck Jonathan. A committee was set up to evaluate Jonathan chances of winning the presidential election in Imo State judging from the activities of the former Governor Ikedi Ohakim who was then in PDP. Ohakim showed signs of dislike against Jonathan when he was transiting from Vice President to President. As secretary of the committee, I became very close to Okorocha. When it became obvious that Ohakim could not win the 2011 governorship election, Okorocha moved to APGA and the committee supported him. I donated my house for meetings to show personal support”. Frankly speaking, the conspiracy that saw Ohakim out of the state government house in 2011 was a cobweb of activities and conspirators that were bent on getting power with the backing of the then presidency and therefore went beyond the Ekechi’s committee. According to Dr. Ethelbert Okere, a celebrated journalist and author, in his book, Democracy by Military Tank, the conspiracy was a well choreographed concert, involving also INEC and security officials. Apart from noting how the elite class penetrated some local government chairmen, especially in Orlu Zone, and failing to pocket both Oguta and Ohaji/Egbema LGAs where Ohakim had scored 14,052 and 28,799 votes respectively, against Okorocha’s 4,260 and 6,008 votes respectively, Dr. Okere said that Ohakim was on his road to victory. According to him, the elite class having failed in their tasks, the job was shifted to INEC and security officials to perfect. 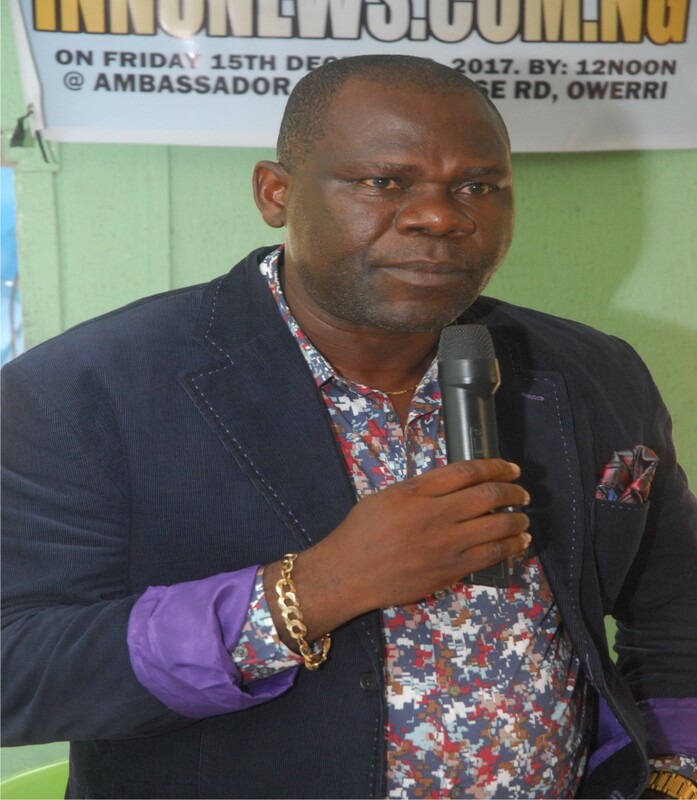 Speaking on what happened to the 28,799 voted from Ohaji/Egbema LGA, Dr. Okere quoted the Democracy by Military Tank in his new book, Arthur by an Eyewitness, and noted that the INEC Returning Officer for the election, Prof Enoch Akobundu, having rejected the result from Mbaitoli LGA, played the most heinous drama when the Returning Officer for Ohaji/Egbema LGA, Mr. Valentine Nwoke, was “detained” by security officials who had brought him to INEC office and Prof Akobundu declared there was no election in Ohaji/Egbema LGA. This is how Dr. Okere captured it: “Akobundu had upon sighting Nwoke and the soldiers [who brought him] directed the former to wait but almost simultaneously announced that he was proceeding for a ten-minute break… At the same time, the soldiers who had earlier brought in Nwoke reappeared and led him away. The soldiers led Nwoke to an adjacent room and told him to remain there until they came back for him. Thereafter they locked the door behind. Nwoke was still inside the room when Professor Akobundu returned after more than one hour, as against the ten minutes he had announced and began to ask in very loud voice: ‘Where is the Ohaji-Egbema Returning Officer? Where is the Ohaji-Egbema Returning Officer? Where is he? He is around.” He went on to declare that no election was held in the area. For Oguta LGA, the election was declared inconclusive, even as Prof Akobundu declared that election did not hold in Ngor-Okpala LGA. Writing on the involvement of security officials, Dr. Okere wondered: “why was it not possible for election to hold in Oguta even with the heavy presence of the security agencies in the area”? He noted that “In Ohaji-Egbema, Hon Goodluck Opiah was placed on house arrest by soldiers who stormed his country home as early as 5.00am on May 6, 2011. The soldiers used two military tanks to cordon off the entire vicinity of his village to prevent human and vehicular movement there”. The author added: “They did the same thing at Chief Arthur Nzeribe’s home”. 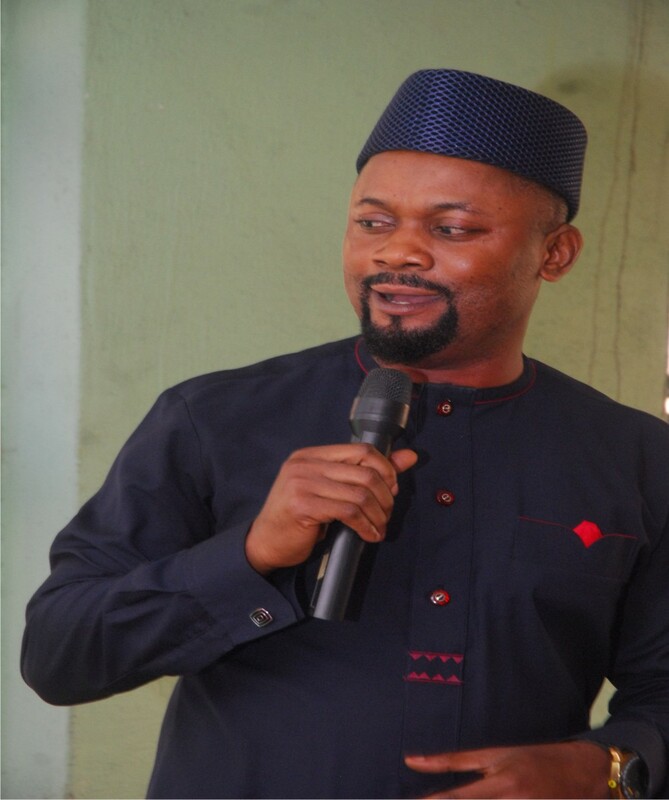 He concluded that “Looking back, it would not be out of place to state that Oguta was chosen as the operational headquarters of those who plotted the 2011 fiasco because they thought they would not succeed unless it was first ‘secured’”. Writing on the caption, “Did We Remove Ikedi Ohakim in 2011 or Powerful Manipulators Did?, Austine C. Otuokere Esq, Permanent Secretary Rtd and Director General of Team Ikedi Ohakim 2019, had on August 14, maintained that it was not the masses but some powerful manipulators that removed Ohakim in 2011. He said: “Many of us who were alive to the political developments in Imo State in the last eleven years know that the PDP Federal Government under President Goodluck Jonathan played the most significant role in the removal of the PDP government of Ikedi Ohakim in 2011. It was a special Jonathanain project”. He added that “When the PDP Federal Government of Goodluck Jonathan decided to remove Dr. Ikedi Ohakim in 2011, they did not deploy the constitutional process of impeachment because there were no impeachable offences to rely on; they did not raise issues of corruption, violation of the law, lack of due process, non-payment of salaries, gratuities and pensions, illegal acquisition of state and private lands, illegal demolition of lawfully acquired and developed properties, etc, because there were no such violations of the rule of law or rights of people. “Jonathan, however, felt that Ohakim was not sufficiently obsequious nor servile. Ohakim was full of the Igbo hubris and did not genuflect in his presence. Ohakim’s voice was becoming too strong in the land. He had too much of the ears of the former President Musa Yar-adua; he had too much boldness; too much patriotic Igbo zeal; too articulate at both the National Council of States and the meeting of Governors. Ohakim had within two years of his Government galvanized South East Governors to unite; engineered the creation of South East Traditional Rulers Council with our Imo monarch as the chairman; redirected the National Gas Master Plan and became the Chairman of the committee to redesign it”. Earlier in an article on Saturday, August 11, 2018, captioned: “What Did Ikedi Ohakim Do Wrong”, I posited that “Imo people did not remove Ohakim. They voted for him but those who conspired against him and their recruits frustrated the mandate of the people and robbed the people of their choice. The masses did not stop the election and ordered for a supplementary election. The people did not “kidnap” the returning officer for Ohaji/Egbema LGA and refused to add the more than 28,000 votes from that area, which was more than enough to return Ohakim as Governor. The masses did not stop the result from Oguta LGA … declaring it inconclusive.” It was the elite backed by the former president. Therefore, while we expect more shocking confessions on the 2011 conspiracy, the TOE Ekechi confession has put paid to the false claim that Ohakim was removed by the “masses”, like the Rev Father Mbaka confession that Ohakim did not beat any Rev Father. Nevertheless, Ohakim has continued to enjoy the wonderful love and support of the Imo people. They will prove this once and for all when they reelect him Governor for the second and last term in 2019. The false claims against Ikedi Ohakim are not what Imo people want. Imo people want job creation, quality education, vibrant economy, strong institutions of governance and the civil service. Imo people want prompt payment of salaries and pension and respect for our revered traditional institution. They want a vibrant local government system. They want good healthcare system. They want peace and security. They want respect for the rule of law and due process, respect for the different arms of government. Imo people want water to run once more from the taps. They want good roads, electricity and food on the table. They want their markets back and functioning. Imo people want Ikedi Ohakim. Implementing to the full his 4Rs of Reconstruction, Rehabilitation, Reconciliation and Recovery and his 38 paragraph affidavit, Ohakim will make Imo the cynosure of all eyes again. Imo people know that Ohakim is a servant, that he is not greedy and will therefore not acquire their lands or convert public assets to himself and family. Imo people do not want liars as governor. They want honest and committed people. They want the man that knows what they want. They want Ikedi Ohakim. Let’s join Ohakim and make Imo great again.